...which I tried to green screen, but the green screened clip ended up all over their jerseys...and some faces! 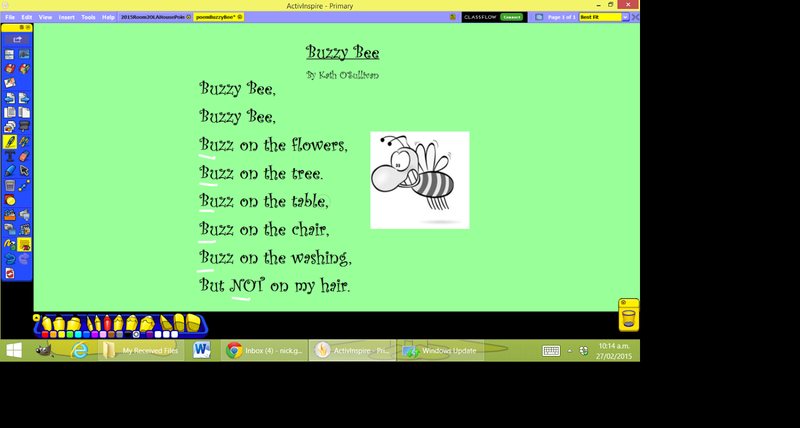 I think the screen needs to take up a bigger part of the picture. 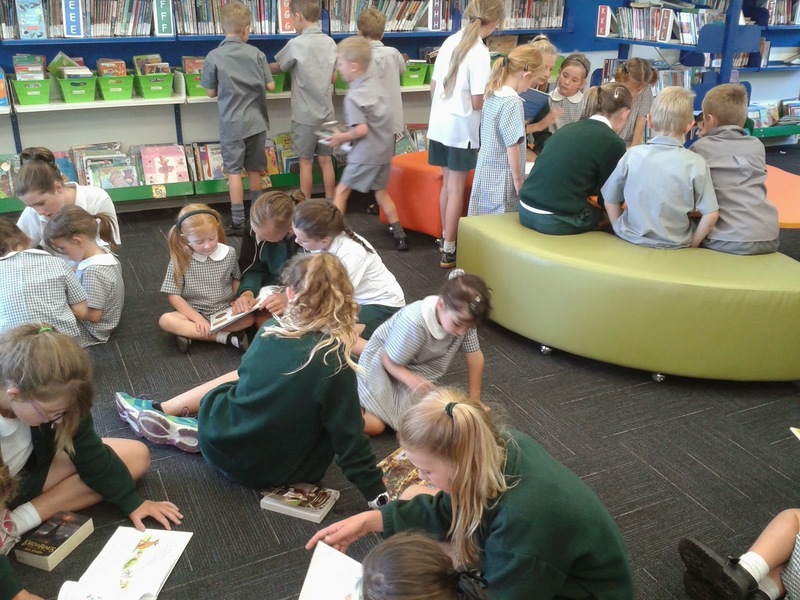 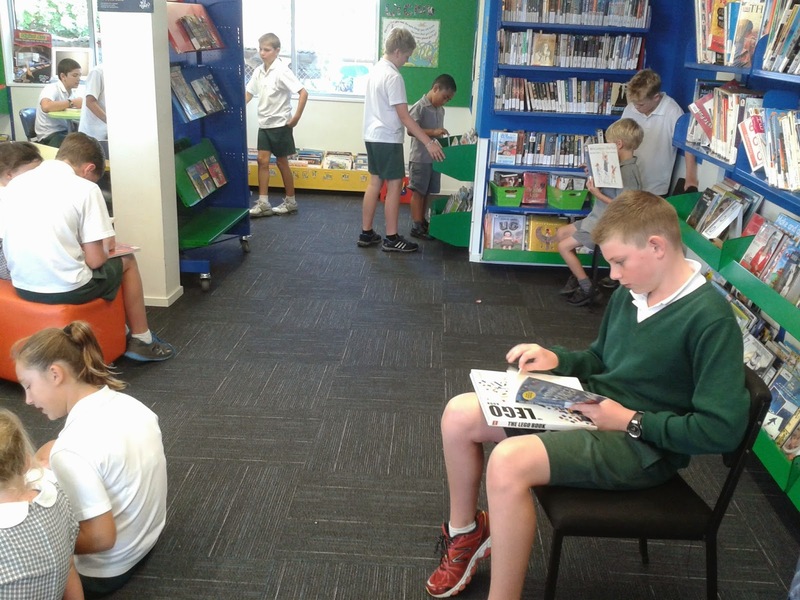 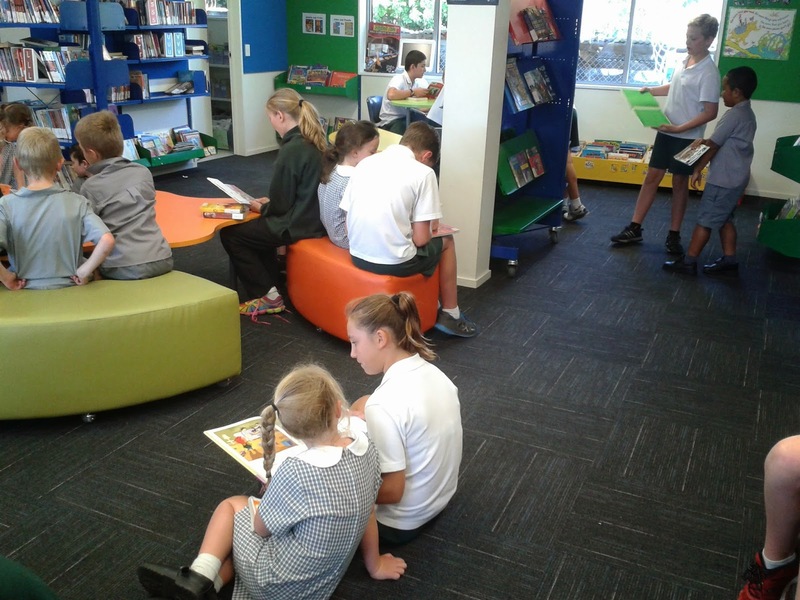 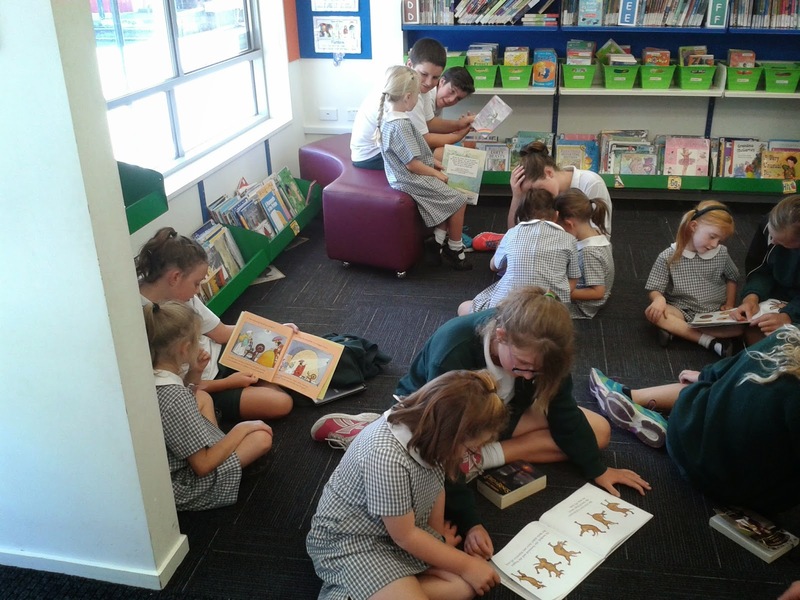 We also visited the library with Room 6.